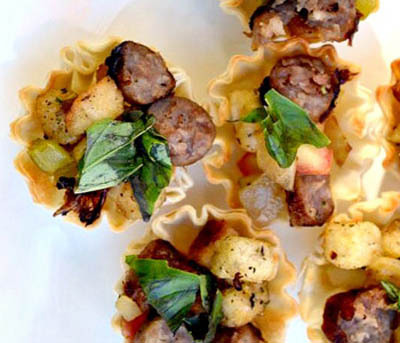 These salty, unique appetizer bites will be the hit at your next party, and they couldn’t be easier to make! 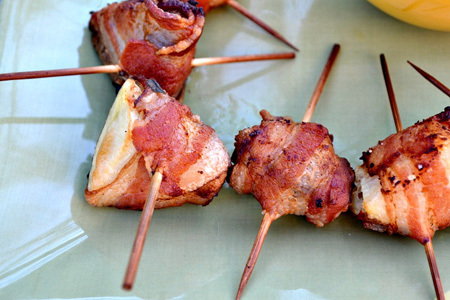 Simply quarter red potatoes, boil them, wrap em’ with bacon and bake for 15 minutes. Make a few batches of these a day before your party and just warm them up the day of. That’s right, vegan! These bite-sized morsels of fun are loaded with hearty fillings, like stuffing and vegetables, as well as a deliciously flavorful vegan sausage. You can sub in regular sausage or bacon if you’d like. These shells are simple to prepare, and the stuffing can be made up to three days before the shindig. Although this dip can be made ahead of time, we recommend making it the day of, if just for the smell! The intoxicating aroma of roasted eggplants, garlic and peppers will have your guests drooling. Once the vegetables have roasted, simply toss them into a food processor with some oil and goat cheese, and you have one delicious dip. These bite-sized cheesy biscuits will be the first to disappear from your appetizer buffet, we guarantee it. 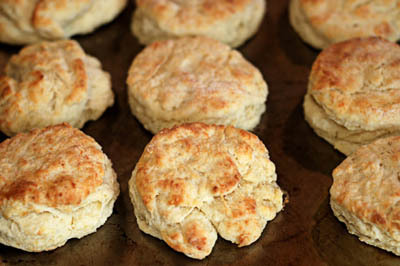 Made from store-bought biscuits and cheese, they are also the easiest to prepare! To save time the day of, bake a few batches the night before and store them in a breadbox to keep them moist and fluffy. To make soup appetizer-friendly, simply pour it into shooter glasses. Guests can then sip the soup without the need for a spoon. 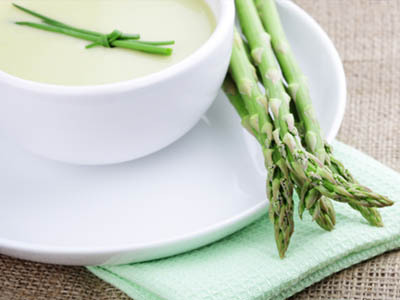 This chilled asparagus soup is as delicious and healthy as it is pretty, and it can be made and stored up to three days before your party. 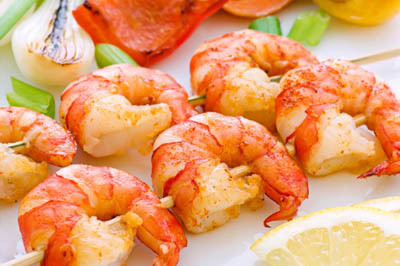 Shrimp is one of the easiest, and healthiest, appetizers you can serve! There are fewer than 10 calories per medium shrimp, so even paired with cocktail sauce you still have a very skinny appetizer idea. This garlic and lemon shrimp is simple to make a day or two ahead of time for stress-free party prep. 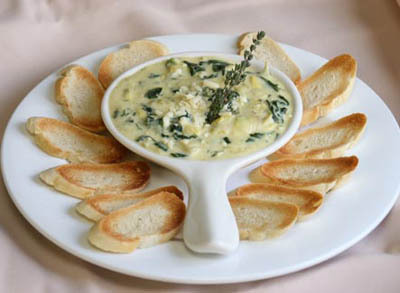 This classic game-day gooey spinach and artichoke dip is the perfect app for any party or get together. What we love about this dip is how easy it is to make ahead of time! Prepare it a few days before your party and simply warm it up in the oven the day of. 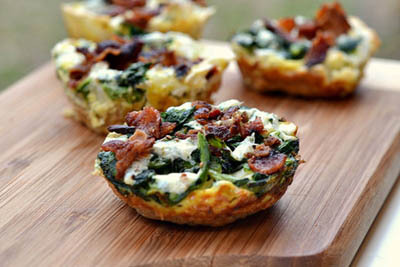 Serve with crispy homemade pita chips for a superb appetizer everyone will love. Want a healthier, fresher appetizer for your next soiree? 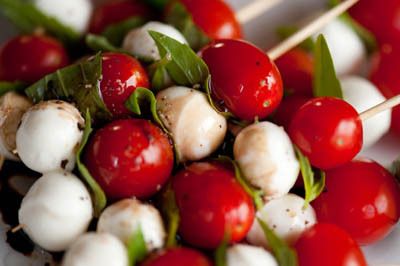 Try these caprese kabobs, made with ripe cherry tomatoes, fresh mozzarella and basil. The great thing about these kabobs is that they require no baking or cooking and can be made up to three days in advance! Just assemble, wrap in foil or plastic wrap and chill. 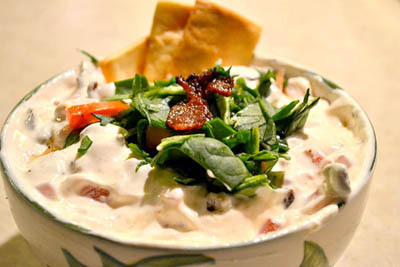 Take those iconic BLT flavors and turn them into a dip with this decadent appetizer. For an authentic BLT experience, cut a baguette into bite-sized pieces and grill/bake the bread until crunchy. 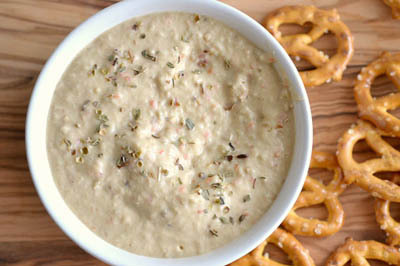 Use that instead of pretzels or chips to dip with! Whether you’re serving a crowd for breakfast, lunch or dinner, these tasty little morsels will keep your guests full and satisfied. Whip up a batch and store them in the fridge — they’ll taste great for several days.